The kayaker awoke before dawn, he put his spray skirt on. He took a face from the ancient gallery. And he paddled on down the shore. His face protected, his nose cool, his skin happy! 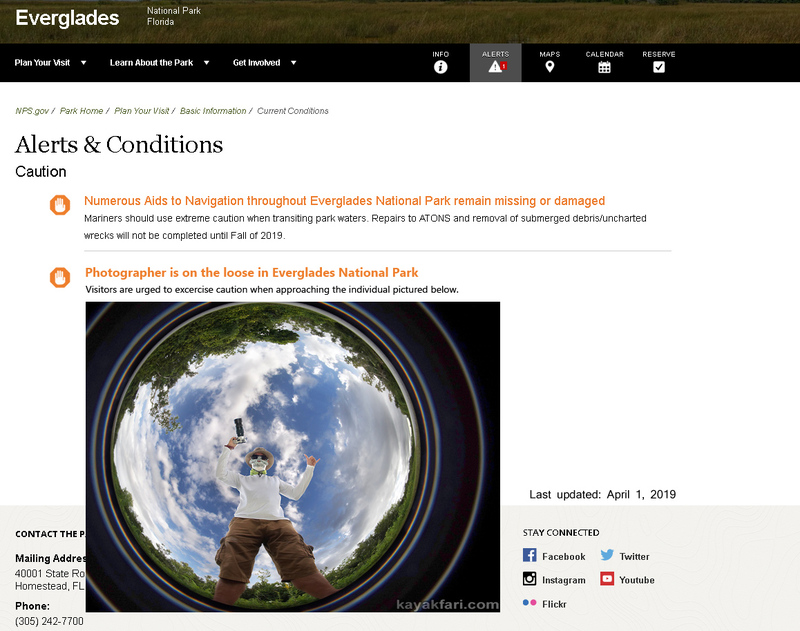 ALERT: Photographer is on the loose in Everglades National Park! This is a work of fiction. All characters appearing in this work are fictitious. Any resemblance to real persons, living or dead, is purely coincidental. No skeleton, nor person, nor kayak was harmed in the making of this work. The author is sorely responsible for the contents of this work! Santa Claus is paddling to town – Boca Raton Holiday Boat Parade 2018. Santa Claus is paddling to town! Total Lunar Eclipse of the “Super Blood Wolf Moon” of January 21, 2019. The latest occultation that turned the moon blood red! The Super Blood Wolf Moon of January 20 – 21, 2019 ! A: During the totality of the eclipse, only the light reflected from the edge of the Earth’s atmosphere illuminates the moon. These are the longest wavelengths of visible light and thereby reddish! Crack that Whip! Paddling the 2018 Winterfest Holiday Boat Parade in Ft Lauderdale. When a good time turns around, You must whip it!